Freshly baked biscuits are the best – but it’s impossible to make a fresh batch every single time you feel like eating these delicious goodies. 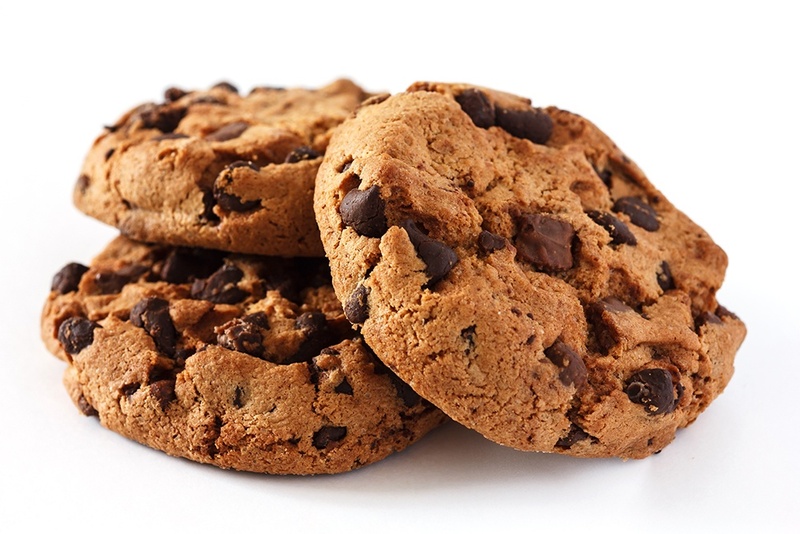 What you can do, therefore, is to make a large batch of biscuits and simply reheat them. 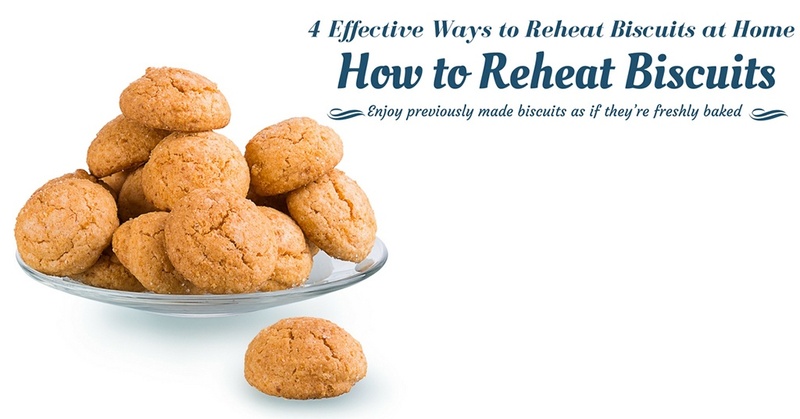 In this post, I will show you 4 simple tricks on how to reheat biscuits. By using the methods I’m about to tell you, you will get to enjoy previously made biscuits as if they’re freshly baked. Below, I will explain each one further. Storing biscuits in the freezer is the best way to keep them fresh. When kept at freezing point, they can stay in a state of freshness for an indefinite period of time. So, it is safe to say that you can keep them in the freezer for about 2 to 3 months without going bad. 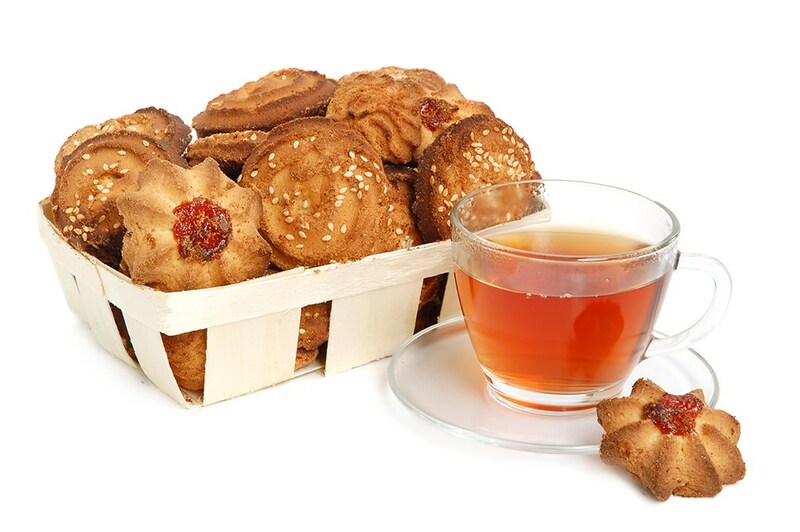 Since biscuits are quite fragile, they can break when not properly stored in the freezer. In order to avoid this, wrap each individual piece in aluminum foil before putting them in freezer bags or freezer-safe containers. This way, the pieces will be easier to separate when it’s time to reheat them. The next best way of storing freshly baked biscuits is in the refrigerator. Although not maintained at their freezing point, the cold atmosphere in the fridge will keep biscuits fresh for about a week. To retain the quality of the biscuits, it’s recommended that they’re placed in airtight containers. Doing this will also keep the biscuits from absorbing the smell of other foods in the refrigerator. If possible, you can also wrap them individually in tin foils. As long as you keep freshly baked biscuits in airtight containers, they will remain fresh for some time. Exposure to moisture and humidity will lead to early spoilage, but keeping them in a dry place with cool temperature will extend their life. To avoid exposure to air, refrain from opening the containers frequently. It is, therefore, practical to keep serving size portions in containers so as not to expose the whole batch to air penetration. If you want, you can also individually wrap the biscuits in aluminum foil. Still, storing freshly baked biscuits in the cupboard or pantry is the least effective way to keeping them fresh for a long time. The biscuits can spoil in just 3 days if kept this way. Perhaps, the only advantage to storing them this way is that you don’t even have to reheat them in the first couple days. There’s no need to thaw frozen baked biscuits when reheating them. Just follow the steps listed below. Place the biscuits (still wrapped in tin foil) in the pan and cover. After about a minute, flip the biscuits to the other side to avoid burning them. Flip the biscuits every 1 minute to slowly melt the ice inside. Do this step 3 times per batch of biscuits in the pan. Remove the biscuits from the pan, take the foil off, and serve. Since you will be using the microwave, make sure that you first remove the foil wrappings from the biscuits (make sure nothing is left, as this can cause sparks in the microwave). The steps are listed below. Wrap the biscuits in a damp towel, making sure that both sides are touching the towel. The biscuits will absorb the moisture from the towel to keep them hydrated while being reheated. You don’t have to remove the foil wrapping on the biscuits when reheating them in the oven. Just follow the steps below. Get a baking tray and line up the biscuits, making sure that there’s ample space between them. Reheat biscuits for 10 to 15 minutes. Take the biscuits out of the oven, remove the tin foil, and serve. When reheating in a toaster oven, don’t remove the aluminum foil wrapping on the biscuits. Simply follow the directions below. Reheat in 350 degrees Fahrenheit for 5 to 10 minutes. Remove the foil wrapping and serve. 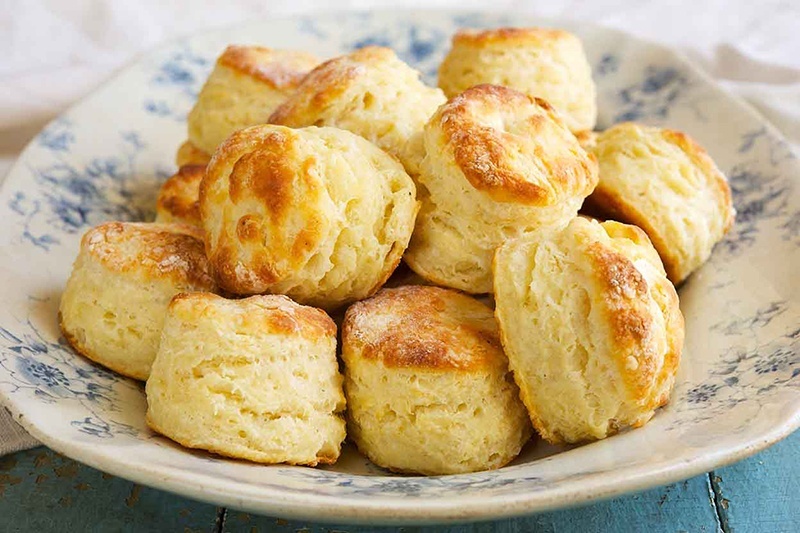 It’s really easy to reheat biscuits from the refrigerator. If you follow the step by step guide below, you will enjoy your reheated biscuits as if they’re freshly baked. Don’t remove the foil covering from the biscuits when heating them over the stove. The foil is safe to use in pans, so there’s really nothing to worry about. Just follow the steps below. Heat the pan on low setting before reheating the biscuits. Also, maintain the low setting all throughout the reheating process as you wouldn’t want to dry out (or burn) the biscuits. Flip the biscuits every 30 seconds or so. Do this step 2 to 3 times. Remove the biscuits from the pan, take the foil off, and serve the biscuits. As aluminum foil can cause sparks in the microwave, make sure that you unwrap the biscuits before putting them in the microwave. Listed below are the step by step methods on how to do this safely. Brush each of the biscuits with butter or olive oil. Remove the biscuits from the microwave and serve. Since you will be reheating biscuits in an oven (video), there’s really no need to remove the tin foil wrapping on the biscuits. However, for best results, you have the option of removing the foil so that you can brush up the biscuits with a hydrating ingredient. The steps to doing this are really simple, as you will see below. Prepare a baking tray and line this up with a baking sheet. 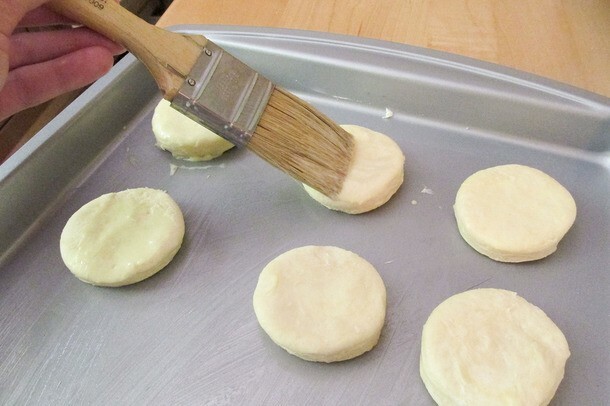 Brush the sides of the biscuits with either butter or olive oil before lining them up on the baking tray. Take out the baking tray with biscuits, let them cool, and serve. Don’t bother taking off the tin foil wrapping on the biscuits when reheating them in a toaster oven – it’s perfectly safe. The steps are few and simple as you will see below. Reheat the biscuits at 350 degrees Fahrenheit. It will take about 5 to 10 minutes to evenly heat up the biscuits. Remove the biscuits from the toaster oven, take the foil wrapping off on each of the pieces, and serve. If you have stored freshly baked biscuits in your cupboard or pantry, make sure that you consume these immediately as they will not stay fresh for very long. Since the biscuits are not cold, they can be eaten as is. However, if you still want to reheat them, you can (especially if they have been stored for more than 2 days already). 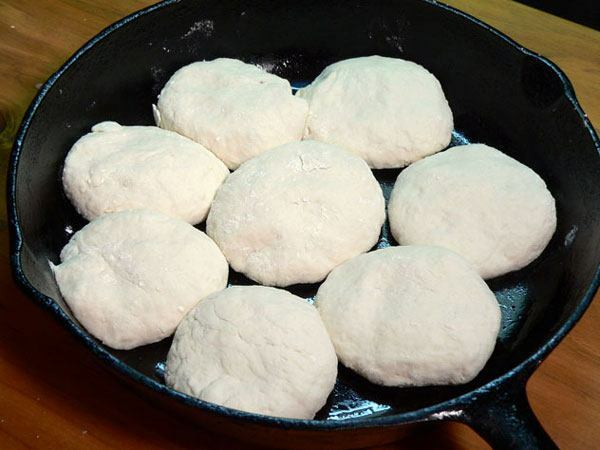 When heating biscuits from the cupboard or pantry in a pan, follow the steps below. If you have wrapped the pieces of biscuits in foil, don’t remove the wrapping just yet. 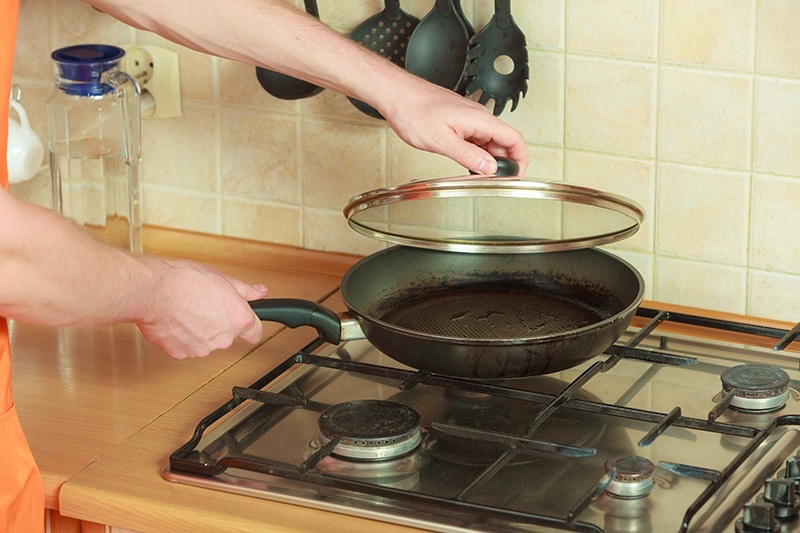 Heat the pan on low setting before reheating the biscuits. 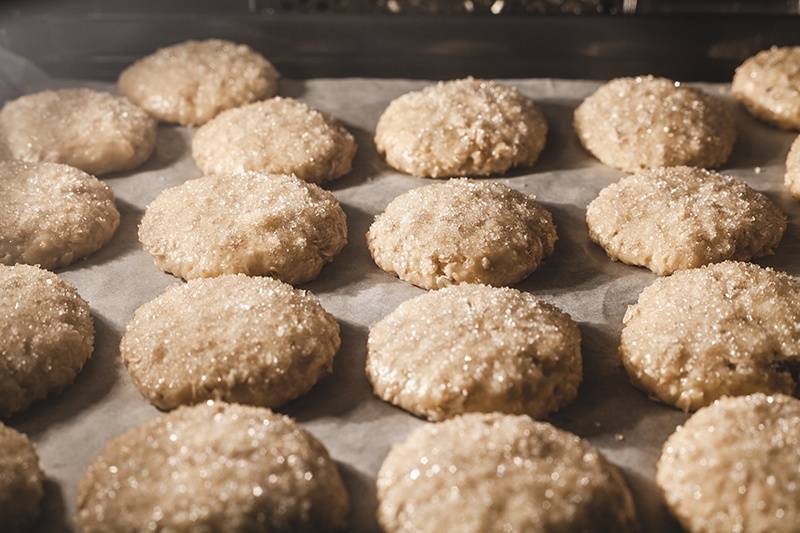 Maintain the same low temperature throughout the heating process to keep the biscuits from being burned or drying out. Place the biscuits in the pan and cover. Flip the biscuits to the other side after about a minute. Do this just once, since the biscuits are not frozen and cold. Remove the biscuits from the pan, take off the foil wrapping, and serve. Of course, you can also reheat the biscuits you stored in the cupboard or pantry in the microwave. However, if you wrapped them in tin foil, make sure that you remove all traces of foil before putting them in the microwave. The steps are listed below. Wrap the biscuits in the moist towel to rehydrate them during the heating process. For best results, both sides of the biscuits should touch the damp towel. 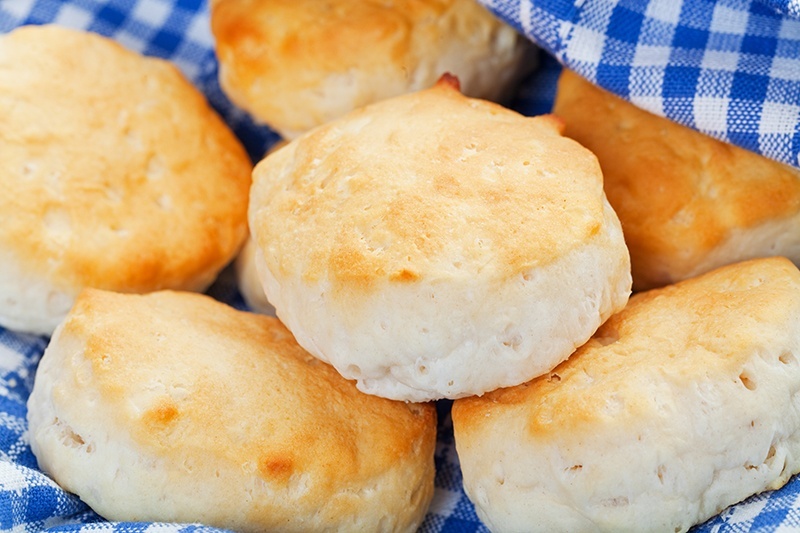 Place the pieces of biscuits in a microwave-safe container with cover, but keep the lid loose. Reheat the biscuits in a medium high setting for 1 to 2 minutes. Remove the biscuits from the microwave, take the damp towel off, and serve. 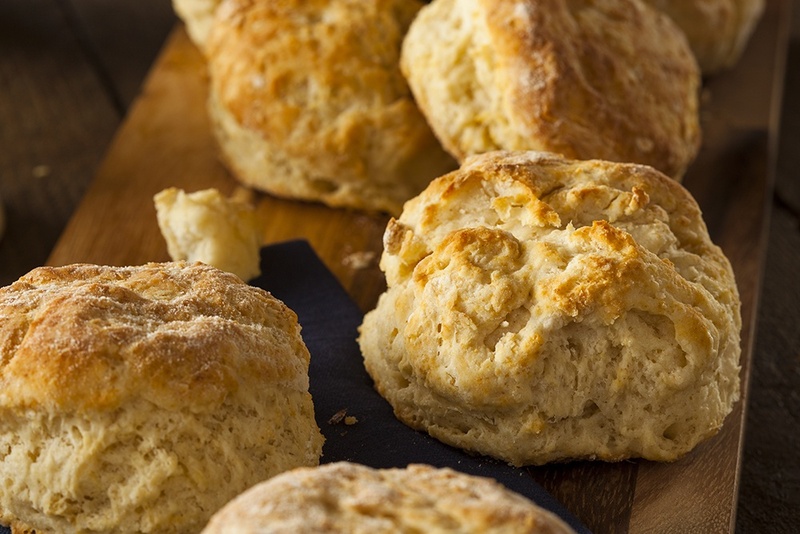 While you can reheat biscuits stored at room temperature in an oven without removing the foil, taking the wrapping off will allow you to rehydrate the biscuits for a fresher taste. Just follow the steps below. Get a baking tray and line this up with a baking sheet. Brush both sides of the biscuits with butter or olive oil. Reheat the biscuits for about 3 minutes. Take out the baking tray, allow the biscuits to cool, and serve. Reheating room temperature biscuits in a toaster oven is probably the easiest method to enjoying biscuits that are a few days old. You can keep the foil wrapping when using a toaster oven. The steps are simple and few, as you will see below. 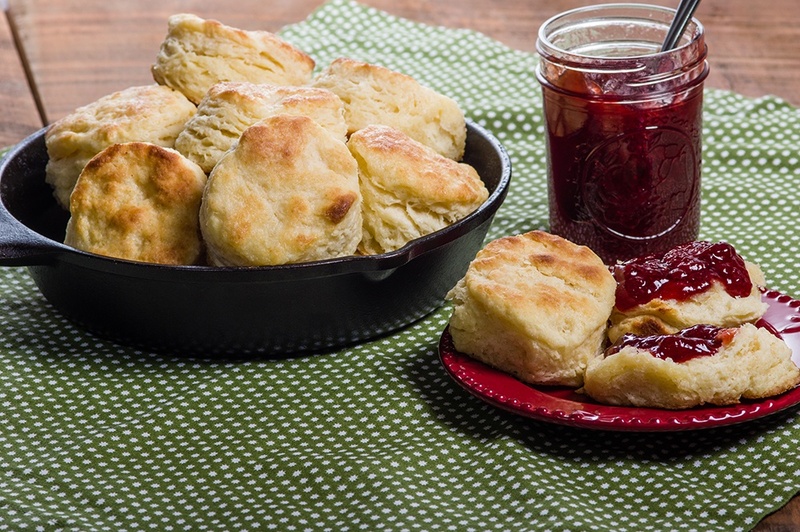 It will only take about 5 minutes to reheat the biscuits since they are not cold or frozen. Take the biscuits out of the toaster oven, remove the foil, and serve. As you can see, biscuits don’t really need to be freshly made in order for you to enjoy them. You can prepare them in large batches, in advance, so that you can simply reheat them when needed. 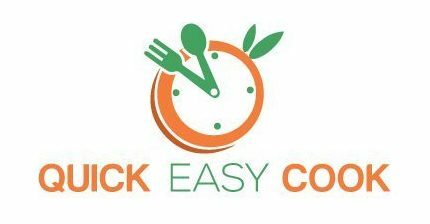 In the methods I just showed you, you will be able to reheat them in just a few minutes, using a few simple steps. And yes, they will taste like they’re freshly made – no one needs to know that they’re a few days old (or even months old, if stored in the freezer) – it will be our little secret. If you find this post useful, do share it with your friends. I would also appreciate receiving feedback from you once you try the methods listed above.